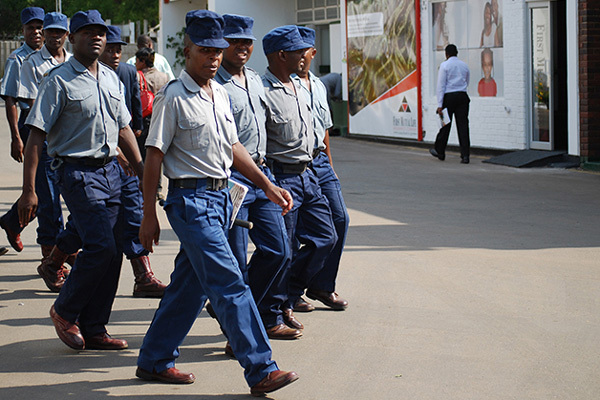 POLICE have increased deployment of officers in Bulawayo's western suburbs to fight criminal activities. On Sunday, a message inciting citizens to embark on another stayaway was widely circulating on social media platforms. However, the message found no takers as residents went about their business. Last month, when the country experienced violent opposition protests, rowdy elements looted and vandalised property worth millions of dollars in western suburbs. Hundreds of them we arrested for participating in the criminal activities and dozens have been convicted and jailed. The Chronicle has since Monday observed that police patrol teams had been increased in western areas. A comment could not be immediately obtained from the police on why there has been an increase in the deployment of officers. Bulawayo United Residents' Association chairman Mr Winos Dube said it was not clear why the police had been deployed in huge numbers. "We have seen the police officers but we have not been told why they have been deployed. Maybe because of what happened last month they are still monitoring the situation. I've driven along Siyepambili Drive to Mpilo Central Hospital where I came across police roadblocks," said Mr Dube. "The officers were not doing much. I did not see them stop any vehicle. They just stood there without bothering anyone. Maybe they are waiting to vanquish any potential threats." Bulawayo Progressive Residents' Association (BPRA) acting coordinator Mr Emmanuel Ndlovu said the residents' body had also witnessed heavy presence of cops in western suburbs. He implored the police to communicate with its stakeholders who include residents when they are doing things out of the norm.